Aquaman #16 introduces a new villain into Aquaman's life but there's little to say about them at present. The heart of this issue lies in Dan Abnett's exploration of Arthur Curry's central conflict - that he is a man of two worlds and yet an outsider to both of them - and how that conflict alters other people's perceptions. 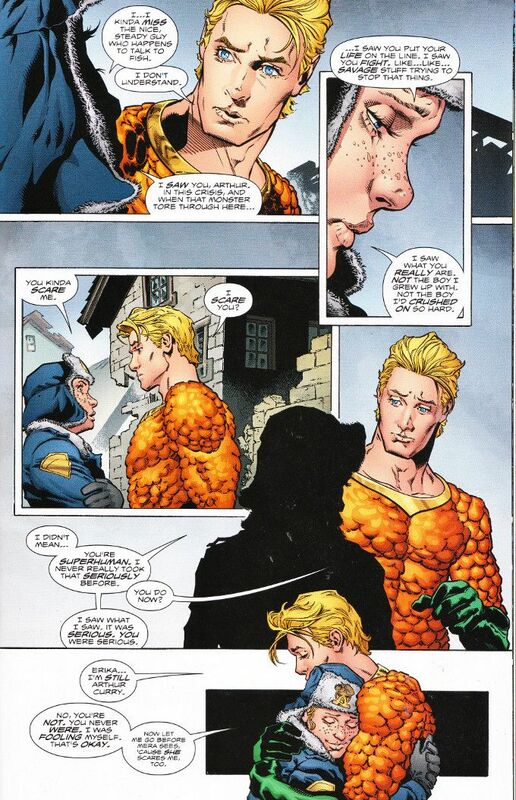 This includes both the sheltered Atlantean councilors whom Arthur tries to expose to the good parts of the surface world and the townies whom he tries to convince that he is still plain old Arthur Curry - even if he is now a Justice League member and King of Atlantis. 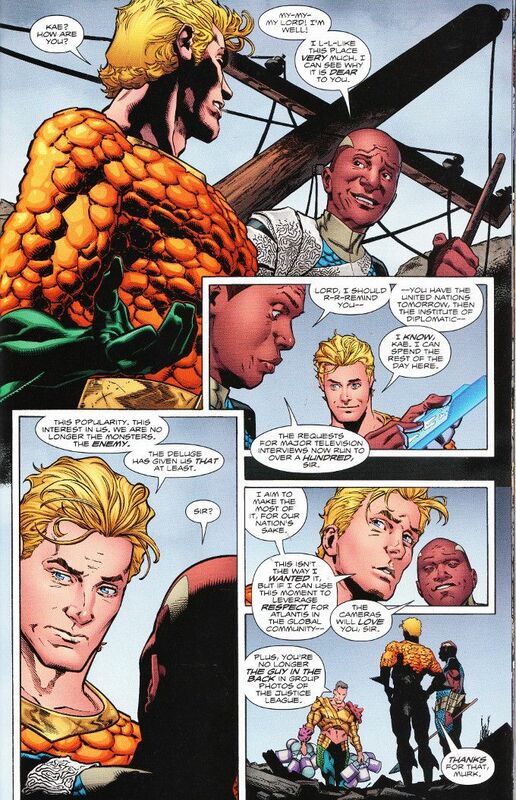 The art team brings Abnett's script to life with great skill. I fear getting smacked with the pun hammer for describing Brad Walker's style as fluid but the adjective applies as Walker shows great versatility throughout. The finished art pops on the page thanks to the inks of Andrew Hennessy and the colors of Gabe Eltaeb.